In this special guest feature, Alex Gorelik, Founder and CTO of Waterline Data, offers some tips on how organizations can achieve Data Mindfulness as it applies to GDPR. Even today’s largest public companies don’t pay enough attention to and misuse their data, but that’s all GDPR is – a set of guidelines to be mindful of data: Where is it? Why was it collected? What do we have customer’s permission to use this data for? Is it used for the appropriate reasons? And is it adequately protected? 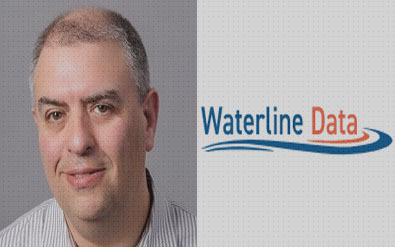 Waterline Data is a startup focused on enhancing the value of Hadoop through data self-service and governance. Alex is a serial entrepreneur and innovator who has spent over 25 years inventing and bringing to market cutting-edge data-oriented technology. Prior to Waterline, Alex was an EIR at Menlo Ventures. He joined Menlo from Informatica, where he held several executive roles. Having trouble getting your data under control for the sake of GDPR compliance? Perhaps you should switch to a new diet. For most of my life, I knew the best way to lose weight was simply by thinking I needed to. As soon as my jeans got tight, I’d say to myself, “Time to shed a few pounds again.” Within a couple of weeks, I would get my old body back. But as I got older, it took longer and longer to slim down. I reached the point where I realized I’d either have to start getting rid of the clothes that no longer fit or simply try something new. I talked to a health and fitness expert, who explained many different kinds of weight loss diets such as vegetarian diets, low calorie diets, low carbohydrate diets, and low fat diets. A common thread that makes all of these diets just as effective in weight loss as the other is that they train you to be mindful of not only whatyou eat but why you eat. The fitness expert said that most people overeat because they either habitually consume food while doing something else (like working or watching a movie) or they develop an unhealthy relationship with food borne out of a deeper psychological issue (e.g., binging, etc.). My friend said I needed to adopt more mindful eating habits, which meant paying attention to what I put in my body and why. Once I developed this awareness, it became a lot easier to stop myself before engaging in unhealthy and frivolous eating. It made total sense to me from a health perspective. But as an extreme data nerd, I couldn’t help but be struck by how similar my problem was to the problem many organizations are now experiencing with GDPR compliance. GDPR is really all about mindfulness—mindfulness of data. Just as we sometimes don’t pay attention to how we misuse food, enterprises today aren’t paying enough attention to their misuse of data. The recent debacle with Facebook may be the most public example of a company that got in trouble because it didn’t pay enough attention to how data was being used, but many enterprises are in the exact same boat. Most have no idea what data they have on their customers, where it resides, how it is used, and whether it’s appropriately protected. That’s why GDPR was created–to help enterprises by setting forth a set of enforceable guidelines that will make them mindful of their data and poses questions such as Where is it? Why was it collected? What do we have the customer’s permission to use this data for? How is it used and by whom? Is it used for the appropriate reasons? And is it adequately protected? While many organizations still consider GDPR to be a bother, I believe GDPR brings a big, long-term benefit to enterprises. Not only is it helping them cut down on wasteful data sprawl and non-compliant data consumption, it’s also improving the analytics health of the enterprise by making sure the right data is used for the right purposes. Complaining about GDPR is like complaining about a diet when in fact both are merely tools to help achieve peak performance. The organizations that will remain competitive tomorrow are the ones not looking to merely comply with GDPR today, but leveraging GDPR as a starting point for getting more value from data, moving from a defensive approach to data—e.g., governance, compliance, assessment of risk—to bold revenue-generating and cost-saving offense, such as analytics self-service, data driven decision making, and predictive analytics.The value of enterprises is moving from hard assets to information assets and in turn data fuels more creative, responsive and profitable business practices. A defensive strategy may keep your organization safe for the time being, but in time, focusing only on defense will leave you with little to defend. By the way, after talking to the health and fitness expert about dieting and adopting a diet that helped me be mindful of why I eat and what I eat, I lost over 15 pounds in just a couple of weeks and have continued to lose weight for over six months now. If mindfulness can help me break through my lifelong eating habits, just think what it could do for something far less stubborn—like your enterprise.